Florida was one of the last states to pass legislation that banned texting while driving. The state’s prohibition on texting while driving began Oct. 1, 2013. As far as texting and driving laws go, it’s relatively weak. 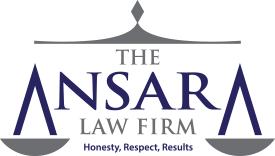 At The Ansara Law Firm, our Fort Lauderdale traffic ticket attorneys know it’s not considered a major offense, though it can become more serious if it results in a crash causing injuries or death. The good news is it can be very difficult to prove the offense of texting while driving. The law does more than specifically ban “texting,” placing restrictions on the use of “wireless communication devices,” though there are several exceptions. For example, talking on a cell phone – even a handheld device – is still permitted at this juncture. The Pew Research Center reports approximately three-quarters of Americans own smartphones (saturation is more than 90 percent among the 18-to-29-year-old cohort), so the temptation to text and talk is almost ever-present. The Florida Department of Highway Safety and Motor Vehicles (FHSMV) reports that in a single recent year, there were almost 50,000 crashes involving distracted drivers in Florida. That amounts to roughly five distracted driving crashes every hour. Distracted driving collisions have risen by more than 25 percent over four years, and they cause more than 3,500 serious bodily injuries and nearly 235 deaths a year. Nationally, it kills nearly 3,500 people annually. There is no question the state has incentive to address this issue, but many lawmakers say the Florida legislature’s classification of texting and driving as a secondary offense is inadequate. When an offense is secondary, that means police cannot stop you solely for observing you texting while driving. The officer must observe some other offense too (usually a moving violation, such as failure to maintain lane). Motorists between the ages of 20 and 24 were the most at risk for both distracted driving citations and distracted driving crashes. What is Florida’s Texting While Driving Law? Florida’s texting and driving law is codified in F.S. 316.305, which is titled wireless communication devices prohibition. Sending or reading data on such a device for purpose of non-voice interpersonal communication (i.e., texting, emailing, instant messaging, etc.). A “wireless communication device” is any handheld device (or one capable of being used as a handheld device) designed/ intended to transmit or receive text or character-based messages or connect to the internet. The law specifically states a driver who uses such a device while the vehicle is not moving (i.e., at a red light, for example), is not in violation of the statute. Conducting communication that doesn’t require the entry of numerous letters, numbers or symbols (except to deactivate or initiate a feature or function). Finally, the law goes on to say that only in the event of a collision can the user’s smart phone/ wireless device billing records be admitted into evidence. A citation for texting and driving is considered a non-criminal traffic infraction, and is punishable as a non-moving violation. A first offense is going to result in a $30 fine. Many people may simply pay this and be done. However, there is a good body of evidence to suggest there are good odds when you fight the ticket – and it can be worth it to do so. However, where people really want to think about hiring a lawyer is with either a second or subsequent offense or when texting-and-driving is alleged to have been the catalyst for a crash. A second or subsequent offense within five years is considered a moving violation, which will result in three points on your license. If someone dies due to a noncriminal infraction, the person cited can be required to perform 120 community service hours in addition to other penalties, per F.S. 318.14. However, actual punishment can be much more substantial, as prosecutors often charge defendants in these cases with other offenses, such as reckless driving or vehicular homicide. The burden of proof in these cases will be on the state. That burden can be substantial if someone decides to actually fight the ticket. That’s because Florida’s texting and driving statute is somewhat toothless and contains numerous exceptions. You are not required to hand over your phone to police for inspection absent a search warrant. Most probably aren’t going to go to the trouble of obtaining one unless you were involved in a crash. That leaves authorities with little proof you were texting and not, say, checking in with your navigation. This is undoubtedly part of the reason so few texting and driving citations have been issued in Florida. In all of 2016, according to the Florida Highway Patrol, there were a total of 1,404 texting-and-driving tickets issued statewide. Of those, 21 percent were dismissed, 1 percent were found not guilty. Further, 20 percent were adjudicated but not convicted. Only 6 percent were found guilty. Another 29 citations were issued to second or subsequent offenders, and of those, only 12 percent were found guilty.